Alejandro G. Iñárritu always uses the power the comes with the director’s chair to push the envelop of the art of film. 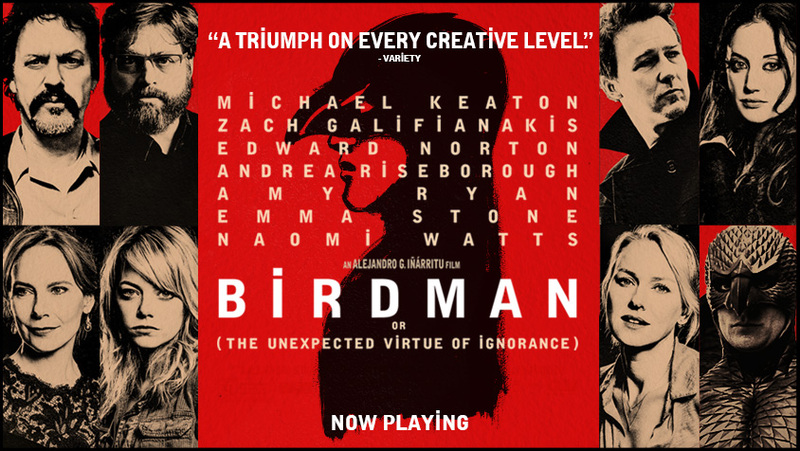 Birdman is no exception. The film is an exploration of the dark corners in the psychological life of a Hollywood star. A formerly very successful Hollywood actor (Michael Keaton) who stared in “Birdman” series (a pun on Badman) wants to honor his initial impulse of why he became an actor and put on a serious play on Broadway. He is, however, full of self-doubt not having any success of late. This fuels two hours worth of drama. I had not idea where the film was going and was glued to my chair watching how Iñárritu would tell a story that essentially only takes place in the building on Broadway. One of the most innovative parts was is how is used music. Every film has some music but Iñárritu breaks with the usual: Instead of keeping it in the background, music is moved into your visual line, for example, by having a drum set play which the actor is moving.) The acting of Michael Keaton and Edward Norton as Keaton’s misanthropic counterpart is spectacular. This entry has been viewed 317 times.